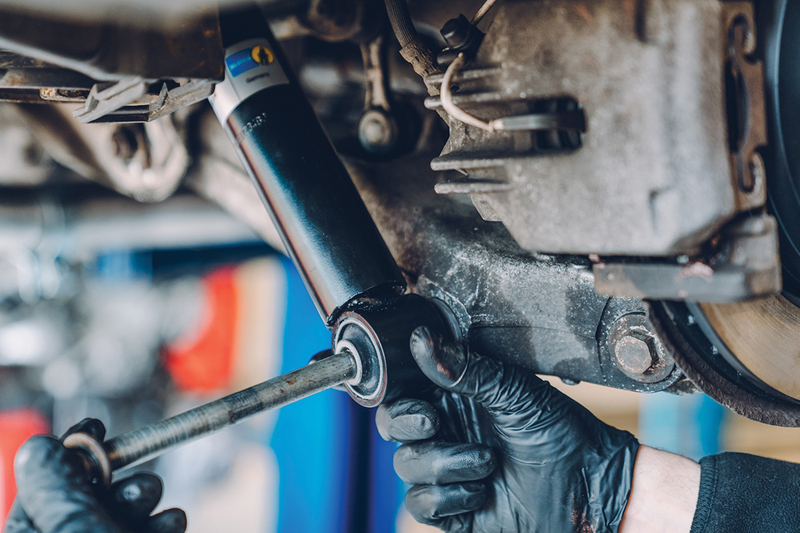 Very few car drivers will be able to recognise a faulty shock absorber; only a vehicle mechanic will be able to detect problems after a test drive and visual check on the lifting platform. Bilstein estimates that around one in seven cars in its home country of Germany are travelling the roads with faulty shock absorbers. That figure equates to a total of around five to six million vehicles. But about the situation ‘Down Under’? Bilstein says the conclusion that can be drawn from this situation is that a large number of necessary wear-and-tear repairs are not being performed, or are being significantly delayed. With a little commitment and attentiveness, car workshops can therefore not only generate valuable additional sales, but also rescue their customers from a dangerous situation. Biltsein reports that test campaigns in Germany have yielded concerning results. 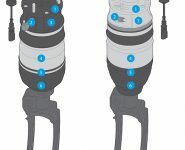 It states that in more than 50 percent of accidents involving a car more than 10 years old, it can be assumed that at least one shock absorber is faulty. The effects of faulty shock absorbers can be fatal. Traction is lost when driving over obstacles and the braking distance can be increased by up to 20 percent. Safety systems such as ABS and ESP do not work properly, as they are only adjusted to intact shock absorbers; and during obstacle avoidance manoeuvres, the car can break away more quickly and the dreaded aquaplaning also occurs sooner. Bilstein says its suspension experts therefore provide useful tips as to what needs to be noted: strong reverberations of the bodywork, a ‘bumpy’ suspension and sharp buckling of the vehicle during braking may be the initial indicators of a fault following a test drive, it says. If a replacement is required, Bilstein says gas-pressure shock absorbers are the first choice, stating that it offers these in OE (B4 + air suspension technology) or even improved OE quality (B6). 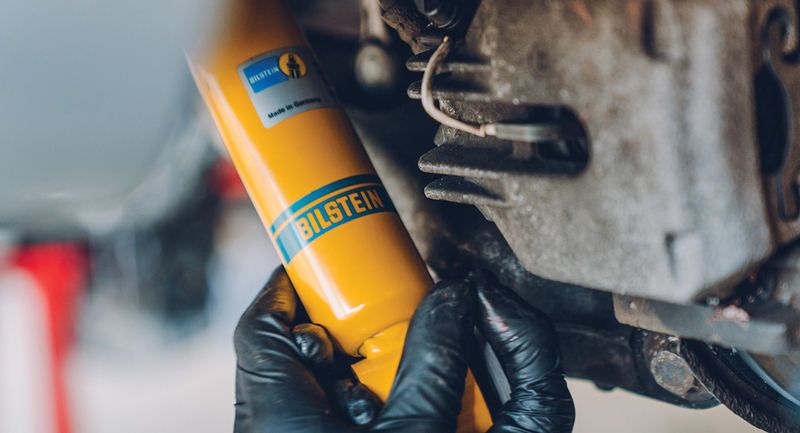 To protect against counterfeit products, Bilstein notes that suspension parts should only be purchased from a specialist dealer, and no products supplied by the customer should be installed. The wear of a shock absorber is therefore effectively a gradual and imperceptible process. As the load on the suspension as a whole is dependent on a number of factors, such as driving style, road surface and temperature, the shock absorbers should be checked at intervals of at least 20,000 km. Here it is the responsibility of the workshops to regularly contact customers by telephone, post or email to enquire whether this check is required, as many are already doing when the main check-up falls due. Alternatively, other routine jobs that fall due, such as wheel changes or inspections, also offer ideal opportunities to bring up this matter. 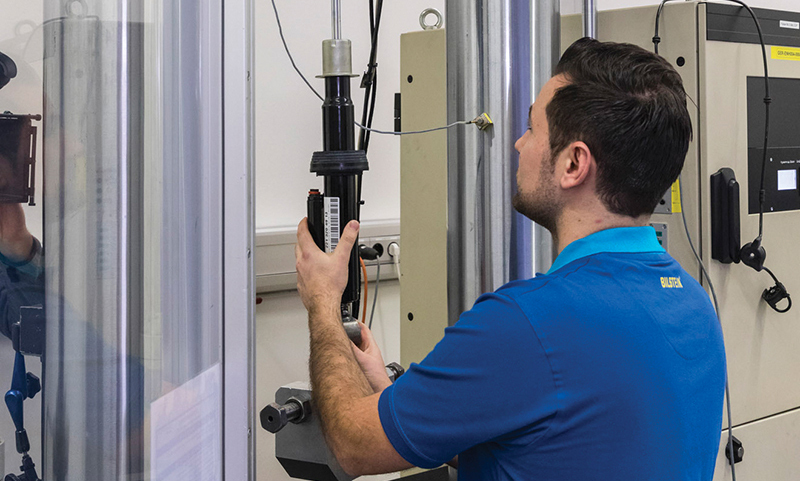 In addition, Bilstein says its installation videos for B4 air suspension technology offer workshops detailed information for the air suspension systems’ growing market. It states the installation videos are very helpful, particularly for the day-to-day business as they audio-visually explain, in great detail, how errors can be prevented during installation and operation. It says they also ensure a trouble-free procedure through simple and understandable explanations and are therefore also very suitable for a mechanic’s further training. 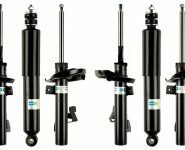 Bilstein provides videos for the installation of air springs and air suspension modules so that no errors arise when installing, repairing or modifying them and so that the functionality of the air springs can be ensured.